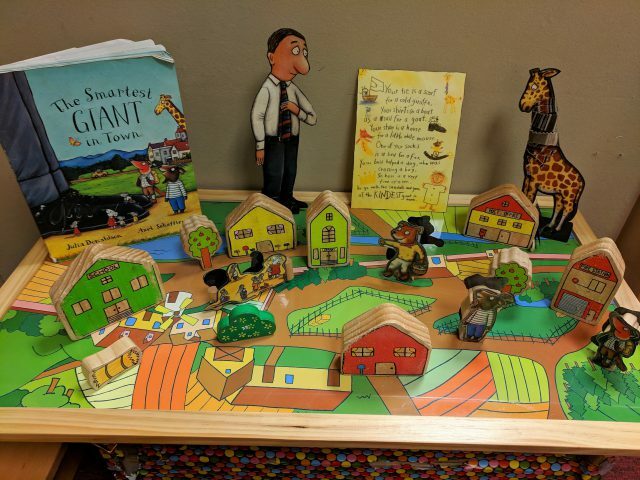 This week in Reception the children have loved reading ‘The Smartest Giant in Town’ – especially as the ‘small world’ has been transformed into the town itself! 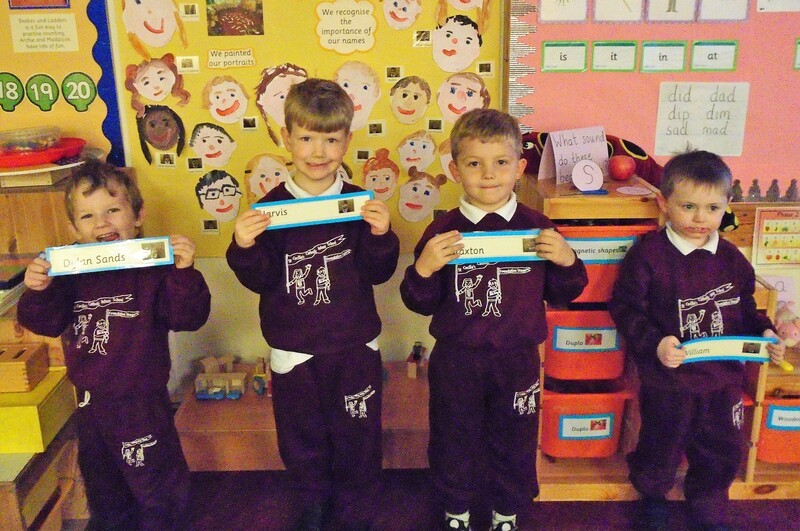 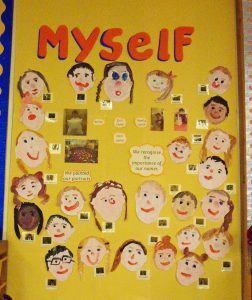 This half term, in R.E., we have been learning all about the topic ‘Myself’. 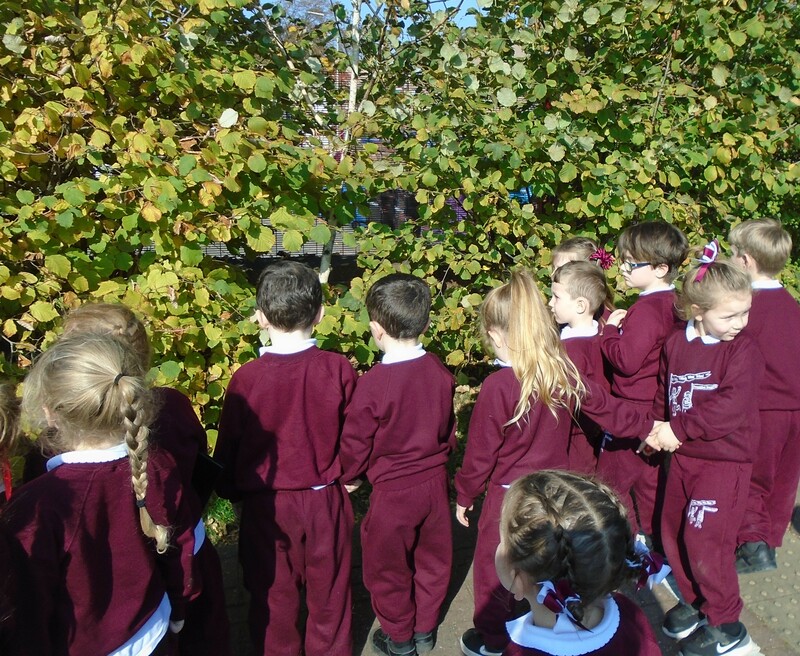 The children have found out about the meaning of their names; that each one of us is special, and that this is because we are made in the image of God. 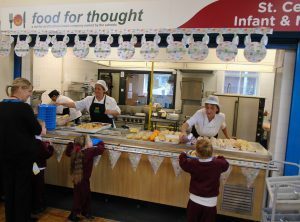 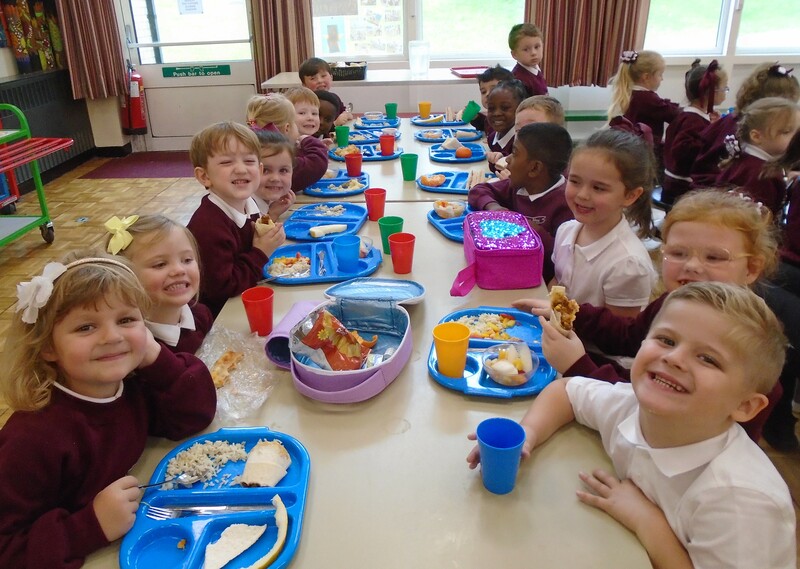 During their first term in Reception, the children have had a great time trying new and tasty food. 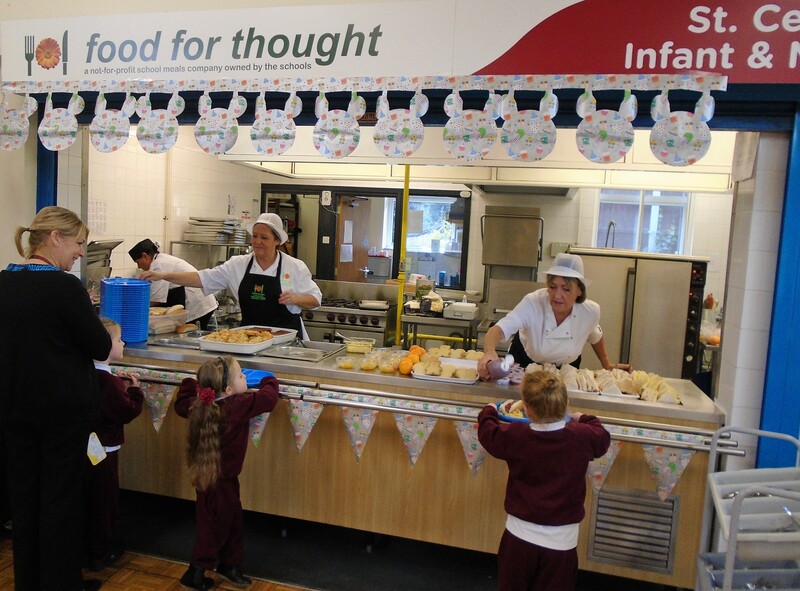 Our kitchen staff prepare different meals each and every day, and the children have lots to choose from! 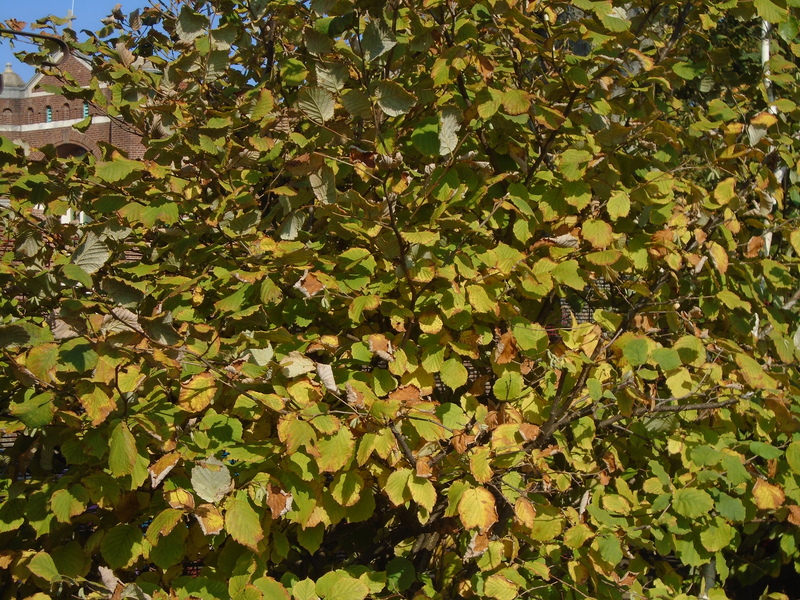 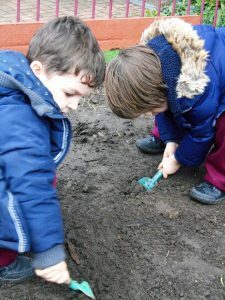 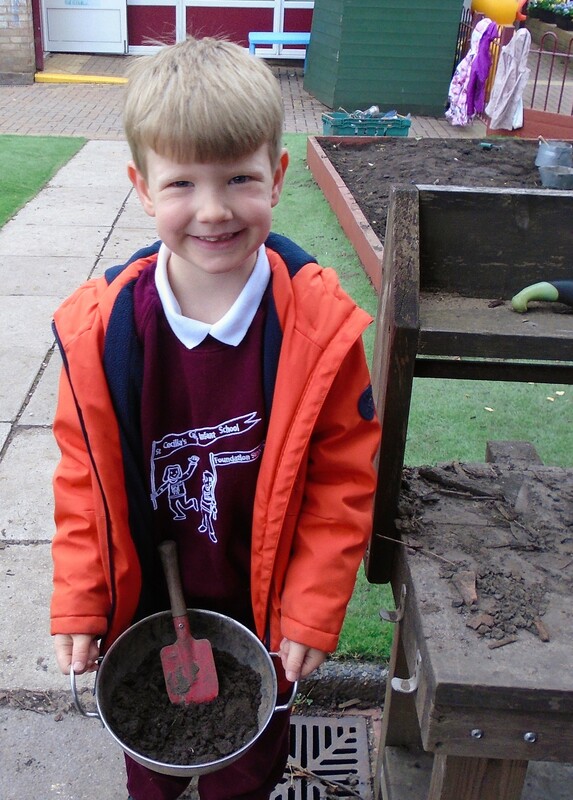 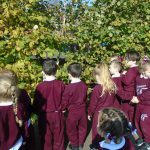 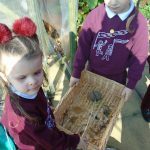 A key part of the Early Years experience is access to the outdoors and the ability to learn through exploring and play. 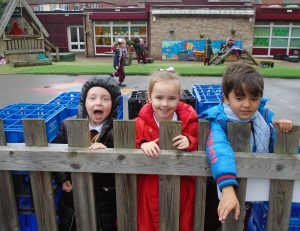 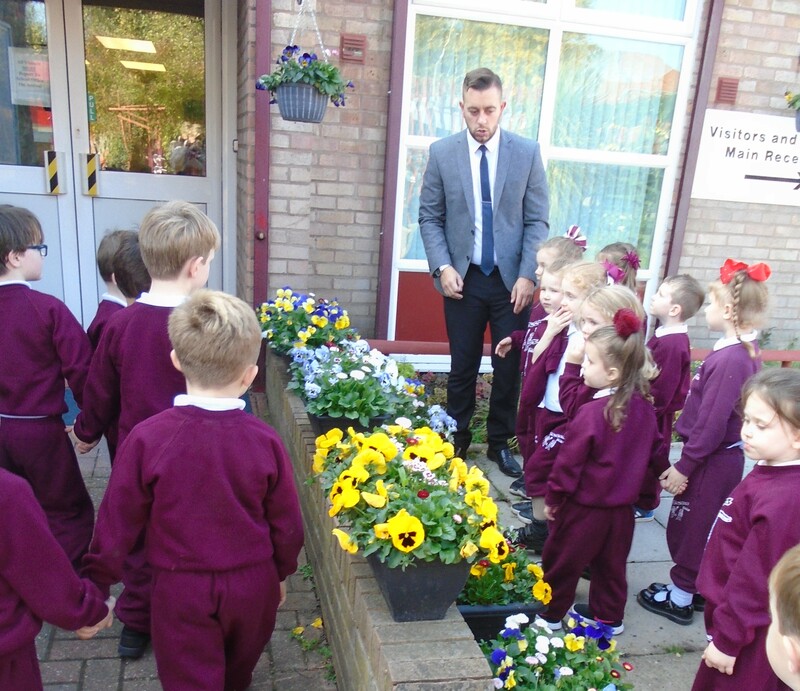 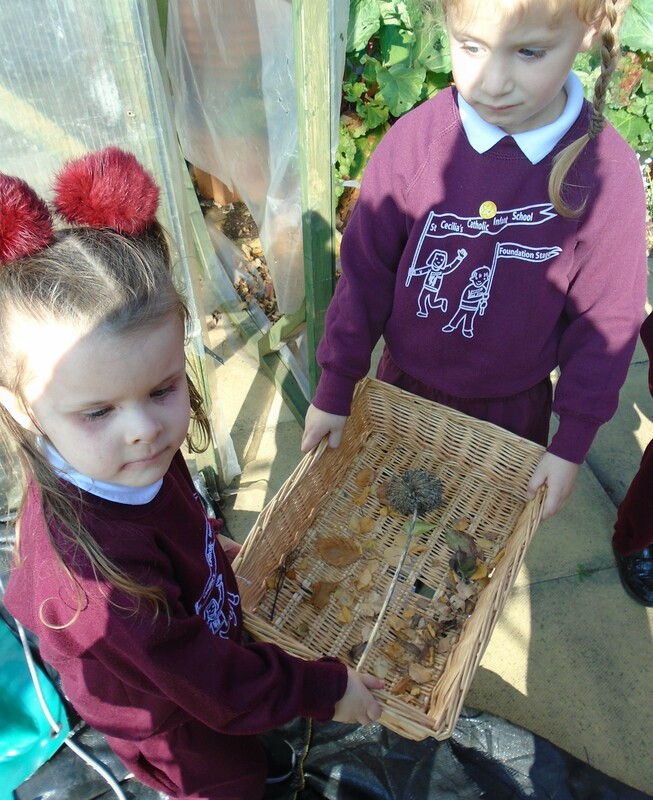 Our children have loved putting their coats on and heading outside for an adventure or two! 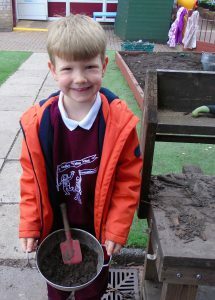 The ‘mud kitchen’ is a particularly popular place to play, and the experiences and conversations gleaned from this are truly remarkable! 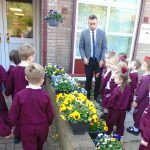 Click on the link below to see how you can be involved!